Senior grandma farmer woman care tomato plant in hot house. View though small window. Rural farm cultivation. Handheld shot on Canon XA25. Full HD 1080p. Progressive scan 25fps. hd00:14happy farmer woman walking with watering can on her lettuce farm. 4k00:10Young Woman Buying Fresh Green Salads and Organic Veggies. Vegan Girl Shopping in Grocery Store. 4K Slowmotion. hd00:35Lost in forest. Girl alone walking on railway tracks. hd00:16Grandmother woman on her knees weed tomatoes plants in greenhouse. Cat sit on wooden stump. Panorama shot on Canon XA25. Full HD 1080p. Progressive scan 25fps. Tripod. 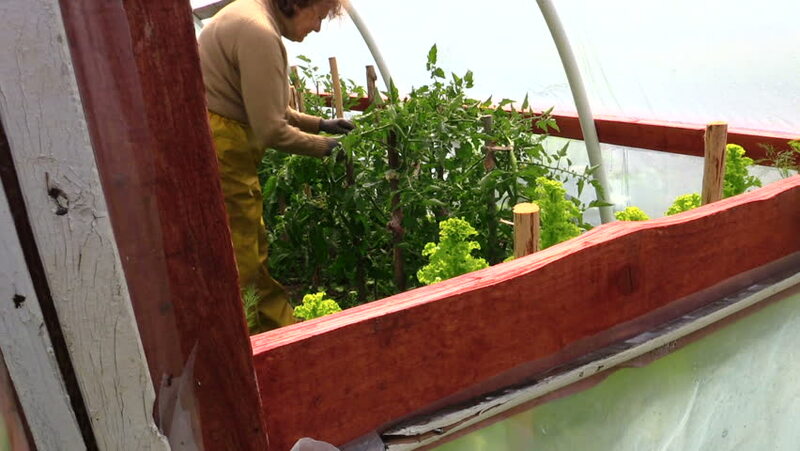 hd00:07Senior woman in yellow trousers prune tomatoes plants in hothouse. Rural gardening. Shot on Canon XA25. Full HD 1080p. Progressive scan 25fps. Tripod. hd00:22Old villager woman at well, draw water and pour it to bucket. Rural lifestyle. Tilt shot on Canon XA25. Full HD 1080p. Progressive scan 25fps. hd00:12grandmother turning wooden old rural yellow handle well in countryside. hd00:15Senior woman on her knees weed tomato plants in hothouse greenhouse. Rural gardening. Cat sit on wooden stump. Shot on Canon XA25. Full HD 1080p. Progressive scan 25fps. Tripod.